Q: What kind of problems with children does CranioSacral Therapy help? A: This i a tremendously broad question. I’ll try to answer it based only on personal experience. Allergies: a. respiratory – CranioSacral Therapy is very definitely helpful chen combined with SomatoEmtional Release. b. food – CranioSacral Therapy is also helpful when structural problems of the skull are found and released. There are other reasons for food allergies that are not necessarily affected by CranioSacral Therapy. Colic, digestive and elimination problems are corrected by CranioSacral Therapy about 75% of the time unless they are due to tumors or other significant pathological problems. Psychological problems – CranioSacral Therapy helps the therapist develop trust and rapport with the child very quickly. In this way the emotional problems cn be discovered. On the other hand, I have seen several “psychological” problems disappear when a craniosacral problem was corrected. These problems had no emotional basis. Although they appeared to be psychological, they were due to physiological craniosacral system dysfunction. Hyperactive children are very effectively treated by CranioSacral Therapy when the problem is not emotional in origin. In my experience, about 50 to 60% of hyperactive child problems have a basis in the craniosacral system. Learning disabilities and dyslexia – As in the case of hyperactive children, when the problem originates in the craniosacral system, the treatment is very effective. This is about 50 to 60% of the time. Down’s syndrome – This is a very difficult question. 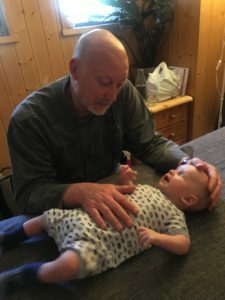 What I can say is that Down’s syndrome children who have received CranioSacral Therapy have been happy and often exceeded conventional expectations. 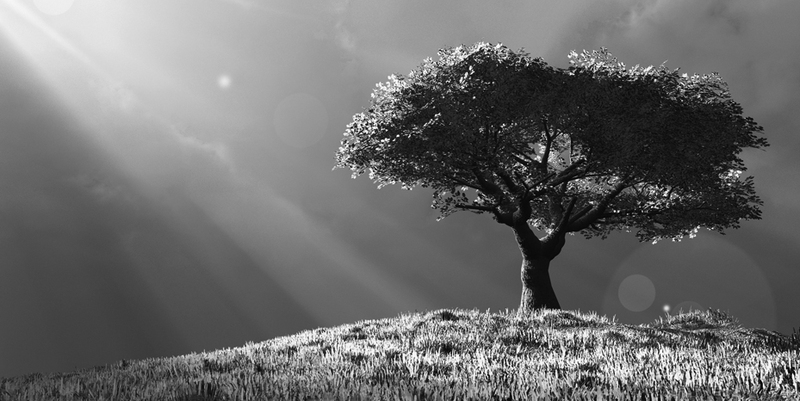 Mental retardation – Whether or not the “retarded” child will respend dramatically to CranioSacral Therapy depends upon the cause for the “retardation”.I have had some remarkably positive results in selected cases. In others, they got healthier when treated, but didn’t necessarily get smarter. Cerebral palsy – Most of my experience has been with spastic cases. These children have all improved – some very dramatically, some just a little. Once again, it depends on the cause of the palsy. Sometimes the spasticity is relieved but the child is left with flaccid paralysis. Flaccid is more comfortable than spastic, so this is worth something. Seizures – The response of the seizure-disordered child is strictly dependent upon the reason for the seizures. I have seen many children completely stop having seizures with no medication as the CranioSacral Therapy was carried out. Some children whose seizures are due to deeper brain disorders do not respond at all. The majority stop having seizures and require a reduced dosage of medication. Autism – We started intensive research with autistic children in the late 1970s. We saw significant improvement in self-destructive behavior, in the display of affection, and in social interaction. These improvements usually deteriorate within three to six months after CranioSacral Therapy is discontinued. This is an ideal situation for parents to learn to treat their child, and a matter of ongoing research. Q: does CranioSacral Therapy provide any benefit for the normal child? A: I feel very strongly that CraniSacral Therapy is one of the more powerful and effictive health-enhancement treatment programs available today. So in view of my bias, the answer is yes. Q: I heard that CranioSacral Therapy can be used in childhood diseases like measles, mumps, chicken pox, etc. A: My experience has been that CranioSacral Therapy can be used to effectively break the fever and ease the child through the crisis in most of the conditions. I think it bolsters the immune system so that the body’s defenses are better used. A: In some cases of scoliosis, the cause is craniosacral. More often than not, though, the tube of the dura mater membrane that goes down the spinal canal has a twist/torque in it that can be detected early in life. The spine resists the torque as long as it can, but sometime in the prepubescent period or in early adolescence, the spine begins to twist in response to the twisted dura mater membrane. This is the beginning of scoliosis. Sometimes, if caught early, this can be corrected using CranioSacral Therapy, and the scoliosis disappears. Q: How does CranioSacral Therapy work with orthodontia? A: Very well indeed. It often shortens the course of orthodontia and occasionally eliminates the need entirely. I suggest that all children have CranioSacral Therapy before embarking on a course of orthodontic correction. Q: Can you help cross-eyed children? A: When the problem is due to the dura mater menmbrane tension affecting the nerves of the eyes, the results are excellent and dramatic. I have helped several children avoid eye surgery using CranioSacralm Therapy techniques.